I love adding Greek yogurt to many of my foods for the additional probiotics and protein. 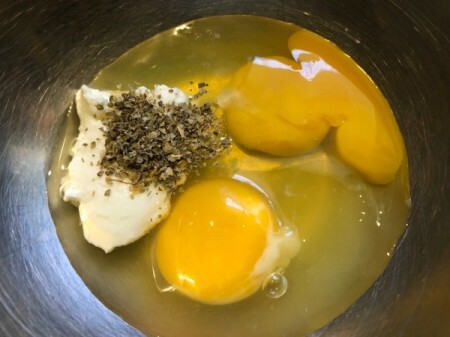 Adding it to eggs is a great way to substitute any milk or cream you might generally have in it. The result is fluffy yet firm, good for you eggs! I used marjoram here, you can use any herb you like. 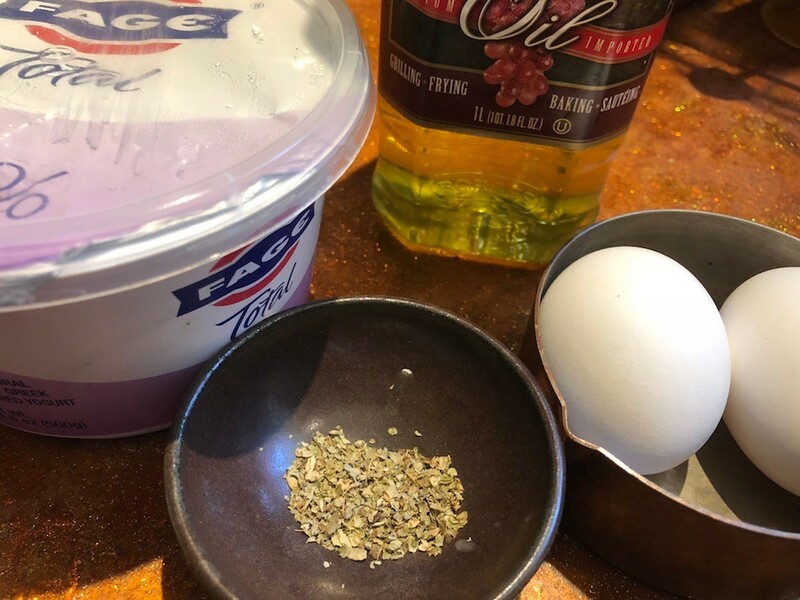 Whisk together eggs, yogurt, and marjoram in a bowl. 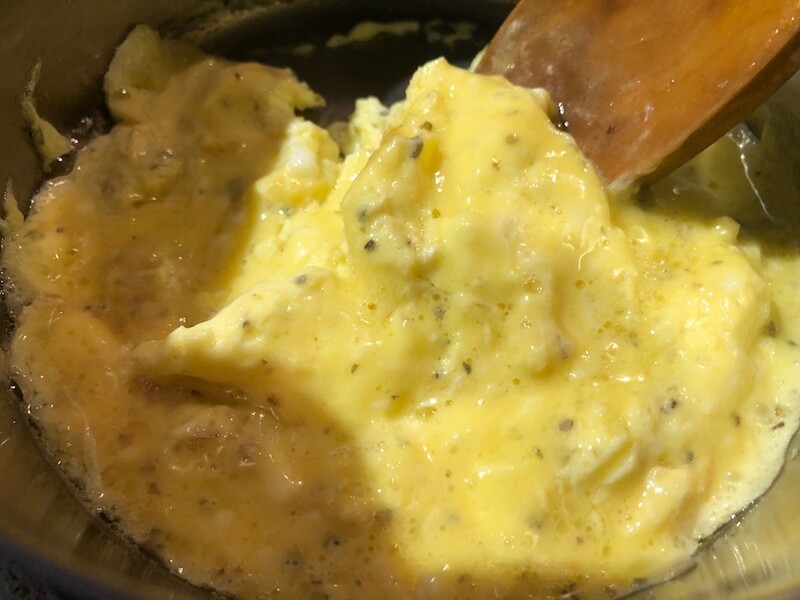 Add oil to a nonstick pan over medium heat and pour in egg mixture. After cooking for a minute or so, the sides will set. 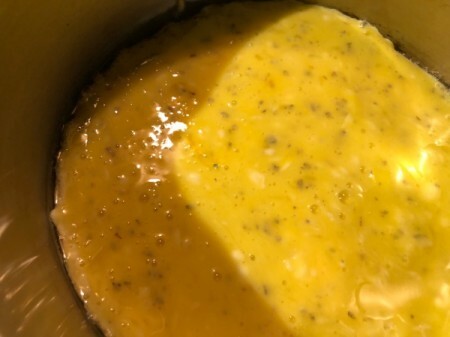 Turn heat to low and continue cooking, stirring frequently, until fluffy and fully solid. Serve immediately. Scrambled eggs with my favorite - Greek yogurt - sounds like my kind of dish. Oh! 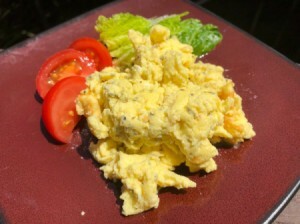 I forgot to mention - fresh tomatoes with scrambled eggs!!! Just the best, especially if just picked from the garden.